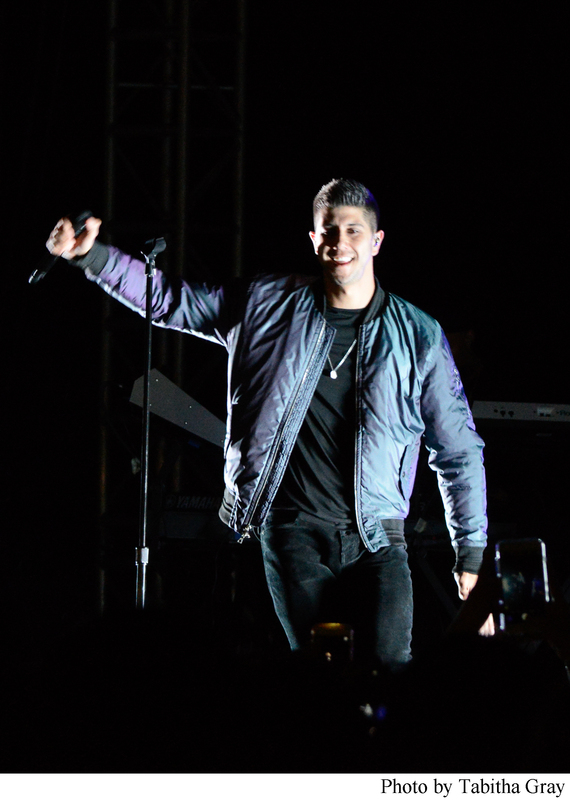 Denton-native and Platinum recording artist, SoMo entertained the TWU community on April 12 at a concert held in the tennis parking lot on the Denton campus. With TWU as the first stop before kicking off his spring tour, students and anxious fans lined the fences along the tennis court parking lot on April 12, for the highly anticipated SoMo concert event featuring special guest RIP Michaels, hosted by TWU’s Campus Activities Board. The North Texas-based singer/songwriter’s career started from posting cover song videos on YouTube in 2009, to becoming a platinum earning artist in 2014. The singer’s YouTube channel has since evolved to gaining over one million subscribers, now featuring SoMo Sunday’s where the singer posts a new cover video every week. His albums including self-titled “SoMo” and “My Life II” have also earned spots on the Billboard 200 list. The night did not fall short of a heavy bass or lack of blaring screams from the concert goers. In the overcast weather, students and fans paid no mind to the short-lived drizzles of rain. Armed with camera phones, the crowd committed to chanting out song lyrics while eagerly aiming to get the best Snapchat-worthy view. The concert set featured originals, “I Do It All for You,” “Kings & Queens” and “Why Wait.” The artist also incorporated creative renditions of “Pillowtalk,” originally performed by Zayn, “Planez” by Jeremih, and continued with a cover version of “Dangerous Woman” by Ariana Grande. Good vibes and obsession levels were on the rise and exploded across the lot upon the sight of the shirtless singer, who closed out the show with his platinum earning hit, “Ride.” SoMo’s smooth and sensual style has collected the hearts of fans ranging from all ends of the country, including a good majority of TWU students. The endless pool of crazed fans and popularity properly represents how the Denton-native’s career shows no sign of slowing down in the near future.